Your gastrointestinal health plays a very important role in your overall immunity, as that is where the bulk of your immune system is located. Because factors like stress, poor dietary choices, illness, and even frequent travel may all have negative effects on your immune system, it?s important to keep your gastrointestinal tract healthy. 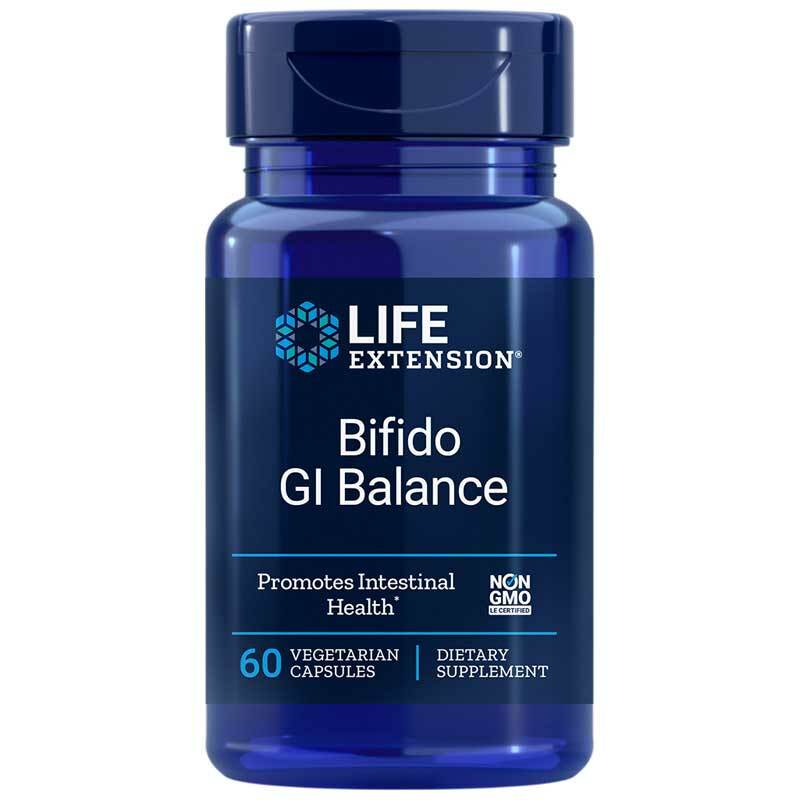 Bifido GI Balance from Life Extension is a dietary supplement that delivers reliable probiotic support for maintaining optimal gastrointestinal health and wellness. 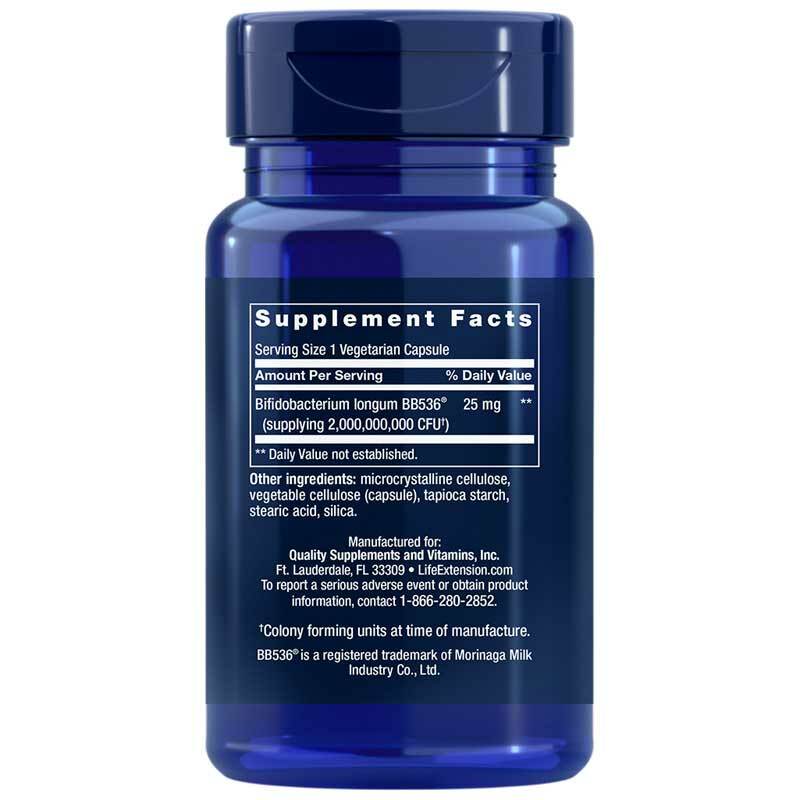 Life Extension's Bifido GI Balance comes in a capsule form that is easy for most adults to swallow. Taken once or twice every day, it may help you maintain optimal gut health and overall immunity. Give it a try today! BB536 is a registered trademark of Morinaga Milk Industry Co., Ltd. Adults: Take one (1) capsule once or twice daily, with or without food, or as recommended by a healthcare practitioner. For optimal potency, refrigerate after opening.